Karlene Kay Ryan was interviewed for the ART OF LIFE project by The InView Series, www.inviewseries.com, hosted by Larry King. The yearly ART OF LIFE, is an art and well being project of which Karlene is an Artistic Director. This day of healing was initiated by Dr. Christopher Perkins of California Oncology of the Central Valley, and is a yearly project for mind, body, and spirit healing for cancer patients. Karlene, a Fine Artist and Creativity Coach, is a 5 year contributor as an Artistic Director to the “Art of Life”. 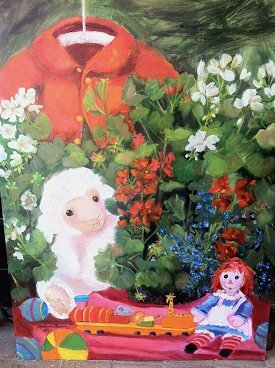 “For the Children” was commissioned by the Holiday Guild benefiting Children's Hospital of Central California. This celebrates the 60th anniversary of Holiday Guild and “For the Children” will be used for fund raising and support of the hospital. Karlene chose a theme representing children continually showing us the courage to heal with their upbeat spirit. 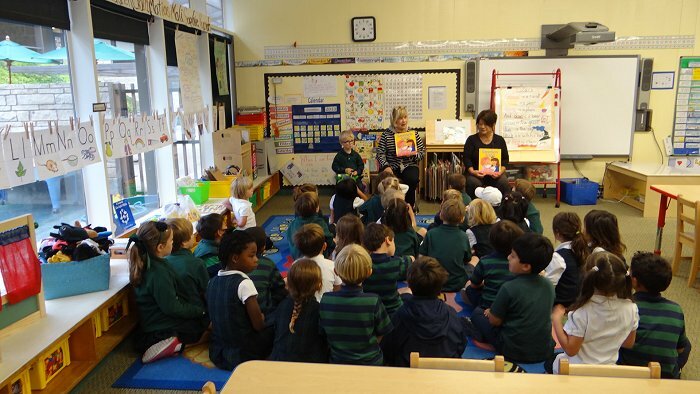 Reading one of the books to the Pre-K and the Kindergarten classes of Robert Louis Stevenson School in Carmel. The cute little boy next to me is my grandson, Seamus Ryan. A special time. 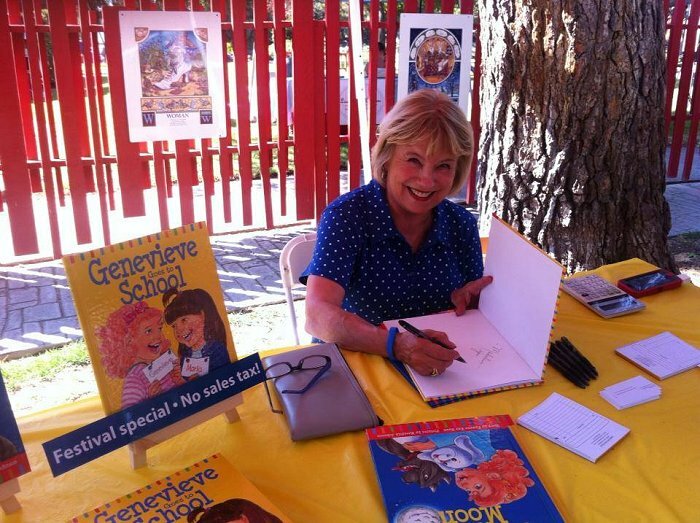 Karlene participated in Storyland's Artist and Authors Festival. Local authors gathered to share their children's books and have story-time at Storyland Theater. Parents and children also enjoyed a talent show and fun activities.